Women in Science: Science Careers: Why Did You Become a Scientist? Science Careers: Why Did You Become a Scientist? The journal Science has a "Science Careers" Facebook profile that has posted brief videos of scientists talking about why they went into science. 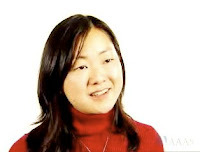 Molecular biologist Fan-Li Chou, PhD is currently an AAAS Diplomacy Fellow and Assistant Trade Director, Africa and the Middle East, Animal and Plant Health Inspection Service for the USDA. She's also on the a board member of the San Diego chapter of AWIS. She talks about her research focused on the genetics of disease and her hope for the future of science. There is a bit of "rah rah join AAAS and subscribe to Science", but it doesn't dominate the interview. 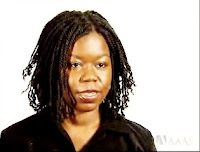 Pamela Clark is a graduate student in molecular and cell biology at Howard University. She talks about how her interest in science developed and what she finds exciting about science. Both of her parents are life scientists so she "grew up in the lab". 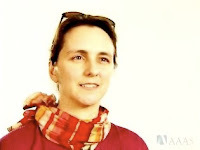 Katherine Socha, PhD is an Assistant Professor of Mathematics at St. Mary's College of Maryland. She talks about how she got interested in math and her research using "differential equations to describe the motion of water waves." Note: You can also watch the videos at AAAS.org if you prefer to watch using RealPlayer rather than Flash. well shot, edited, and very interesting.